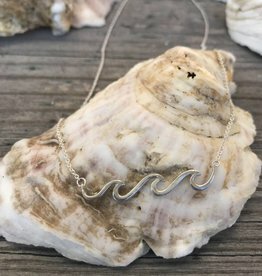 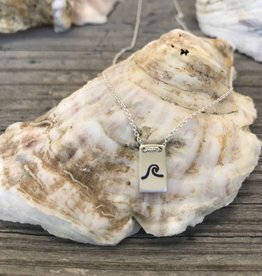 Sterling Silver stamped wave necklace. 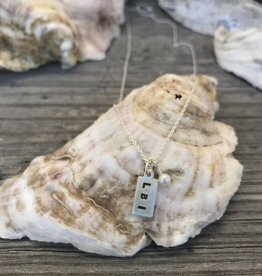 Hand stamped LBI charm with pearl bead. 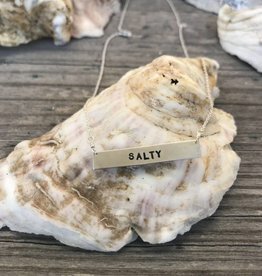 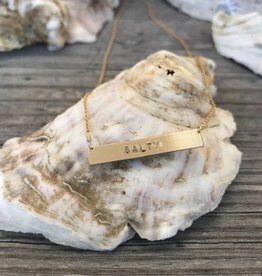 Hand stamped, gold fill "salty" bar necklace.